It's Friday again, where did the week go? It's been a stressful week in my house full of dr appts for my oldest son and myself so I love every opportunity that comes along to help me relax and The Friday Mashup does just that! Sara is our hostess this week and she has a great sketch for us, plus she wants us to give the technique 'emboss resist' a try. I've never done that before (not that I could remember anyway!) so I sat down to give it a whirl! I don't have any white embossing powder so I used some other powder that I've had for years and years. It's not SU and the label was faded so I cant even tell you where I got it from. It did the trick though! I stamped the bird image from the Christmas set Beauty of the Season on Naturals White card stock with Versamark and then heat embossed it. I then grabbed my sponges and sponged Night of Navy and Island Indigo over and around the embossed image. After I got the area covered I used my aquapainter to blend the inks together. I had an image of a bird sitting in the snow on a tree branch at night...I'm not sure if that's what the final image conveys but that's what I was going for! After I was done with the aquapainter I gave the embossed image a final swipe with some tissue to make sure no ink was left on it and called it good! 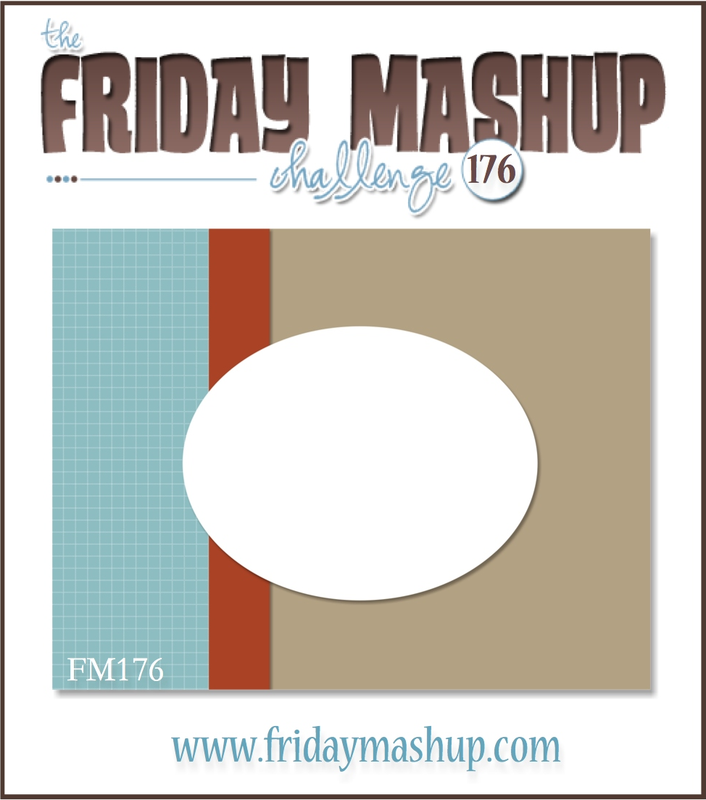 I hope you'll come by The Friday Mashup and see all the great projects from the rest of the design team, and then play along with us! Or Mash it up and create a project using the sketch and the emboss resist technique! Lisa, I really like how your card turned out. The blues just draw me in. 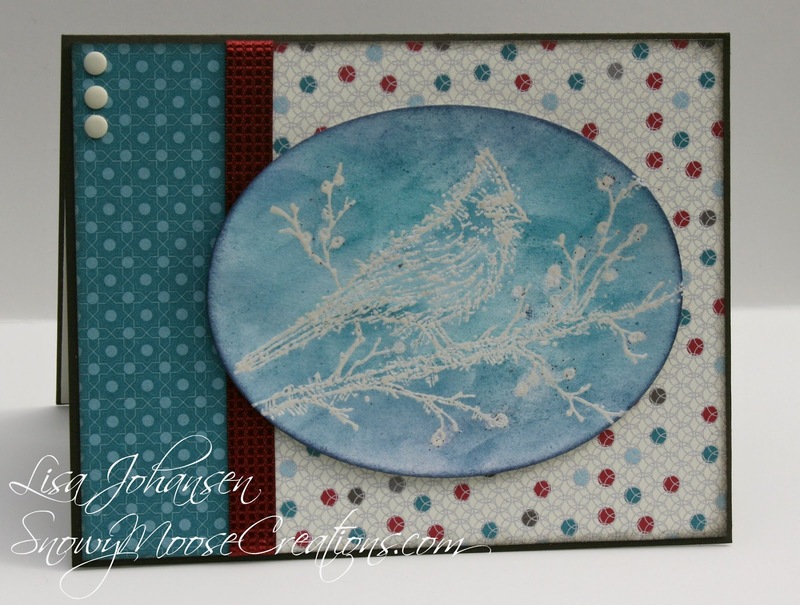 Love the mix of them together and that you used your aquapainter after sponging. I've never done that before. I just love how the bird is perched among the blues, Lisa. As always, a beautiful card...and congrats on your SUO pick, and your FMS pick- you are a rock star!